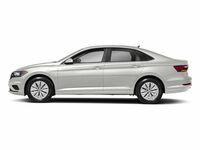 Over the years, the Volkswagen Jetta has grown to be not only one of the most popular models in Volkswagen's lineup but one of the most popular compact cars available on the market today. Every year it seems like Volkswagen is able to top itself with a newer and better Jetta, and this year is no different! The 2019 Volkswagen Jetta looks to be the best edition of the compact car yet! If you're looking to learn more about the newest Jetta, you've come to the right place! For this model research page, we're going to break down everything about the Jetta, from its engine specs to its interior to its technology features to its safety! Let's see what this new compact car model has to offer! No better place to start than underneath the hood! 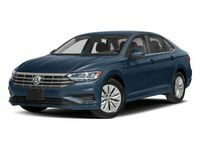 The 2019 Volkswagen Jetta comes standard with a punchy and efficient 1.4-liter 4-cylinder engine. This small, but fierce engine gives drivers 147 horsepower and an incredible 184 lbs.-ft. of torque to play with! But, it still offers great efficiency, getting up to an EPA-estimated 40 mpg highway! The interior of the 2019 Volkswagen Jetta is bigger and better than ever with a refreshed design and wealth of comfortable features. Like the two-tone V-Tex leatherette seats, ventilated and heated leather seating surfaces, panoramic sunroof and the new 10-color customizable interior ambient lighting! It's got comfort, space and style, what else could you want? 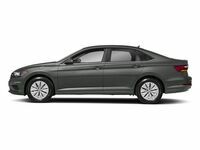 The 2019 Volkswagen Jetta is the most advanced model yet with its wealth of technology features. Like its 8-inch touchscreen navigation and all-new BeatsAudio sound system. And the new digital cockpit with the available 10-inch screen that displays information in high resolution and can be customized by drivers to their exact preferences! Test Drive the 2019 Volkswagen Jetta at Broadway Automotive in Green Bay, Wisconsin, Today! Want to learn more about the 2019 Volkswagen Jetta? Ready to get behind the wheel of one to try for yourself? Contact our staff at Broadway Automotive in Green Bay, Wisconsin, for more information or to schedule a test drive today!